This is a guest post from Anna Carroll, MSSW. Sheryl Sandberg’s “Ban Bossy” campaign, mentioned in her recent book, Lean In: Women, Work and the Will to Lead, has picked up steam. In “The Abrasiveness Trap” (Fortune, 8/26/14), Kieran Snyder confirms that women receive more critical feedback and unflattering personal labels than men do on performance reviews. Both male and female bosses more frequently describe females on their teams as bossy or abrasive. It’s easy to conclude that women simply need to build their self-confidence and ignore workplace feedback completely. But that would be a career mistake. While these labels may be given unfairly to women at performance review time, it’s more important to notice that women are less likely to receive any helpful feedback throughout the year. According to research conducted by McKinsey in their 2011 publication, “Changing Companies’ Minds About Women,” men are less comfortable conducting feedback conversations with female employees than they are with males who report to them. One reason is their concern that women will take feedback the wrong way and act emotionally. Another is the “chemistry” of mentoring in general; leaders are more comfortable coaching and giving feedback to those they easily relate to, i.e. those most like themselves. But feedback is an essential nutrient for the growth and development of any aspiring leader or professional. Women must find a way to receive the feedback they need in order to make incremental changes and achieve success. Sit down with your boss and explain a specific goal you are eager to accomplish and ask for feedback related to that goal. 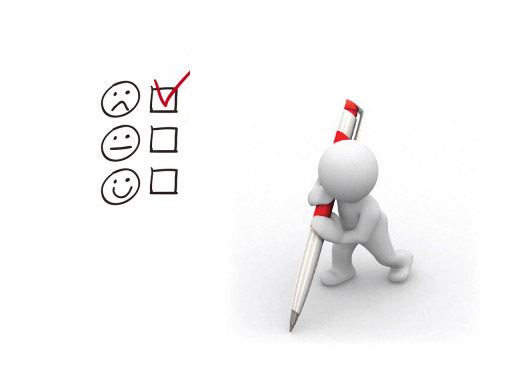 Feedback is a bit easier for your manager to think about if he can relate it more readily to a clear goal. Prime the pump with a few self-observations—one positive and one improvement need–and ask him to comment or add to your own perceptions. Ask for feedback during short time passages—just after a meeting, over coffee, or while traveling to a customer location. Show your boss that you are looking for improvements every day and in every way. Emphasize feedback with team members you work with—whether they are your direct reports or peers. Share with your manager the importance you place on feedback and the value you have received from it. Never stop seeking helpful feedback to nourish your career growth opportunities! Anna Carroll, MSSW, is an organization development consultant, facilitator, coach, and speaker. She designs and leads training and group planning experiences and creates learning tools and assessments to speed up group success. Most recently Carroll has focused on how leaders and team members can overcome their barriers to exchanging valuable feedback in the workplace. Her book, The Feedback Imperative: How to Give Everyday Feedback to Speed Up Your Team’s Success, was published in July 2014 by River Grove Press. Her website is www.EverydayFeedback.com and email is annac@interactiondesign.com.